I guess it's safe to say that I have some mixed feelings about Finding Pride. I'll try to break it down. I think the characters were well-written. Oddly, though, I liked more of the secondary characters than I did the main characters. I wanted to learn more about Lacey and Iian than I did Megan and Todd. And there was something about Todd that just rubbed me the wrong way. Why was his family always telling him not to scare Megan? I felt like there was hints at something that had to do with him rather than Megan's past. Maybe I'm reading too much into things, but it bothered me. While the storyline was sweet, it was also predictable. Things felt rushed. I understand that when writing a book, an author wants to keep the story moving along at a decent pace while keeping the book a reasonable length. I also understand that when reading a book, a person might need to suspend reality and go with the flow. 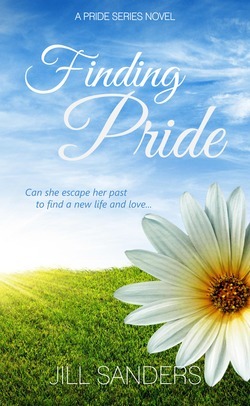 It's hard for me, though, to believe some of the things that happened in Finding Pride in the time span in which the book covers. I enjoyed the more simplistic writing style. I feel like it worked very well with the book. However, Finding Pride could have done with another once over from the author or a family member or friend. The grammatical errors and whatnot were a bit of a bother. I understand that things happen sometimes (and I have read books that are far worse!) and tried not to let it bother me too much. After reading a few comments on Amazon, it looks as those the author was able to edit the book and post an updated version on Smashwords. Unfortunately, it doesn't look like the Kindle version has been updated yet. In general, I enjoyed Finding Pride. I would read the rest of the series.